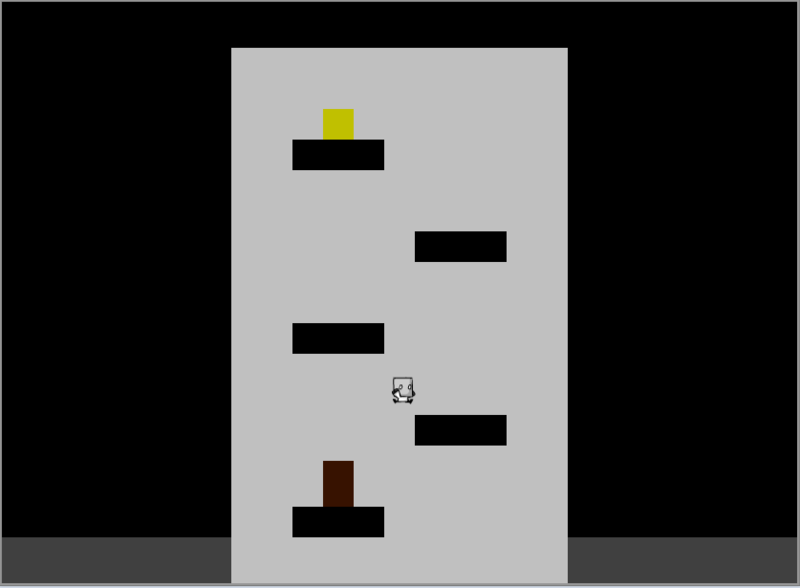 For my last game Multi I implemented a system which allowed for my game character to walk on and jump from walls based on collision handling from an article in the SoulHow Assistance Guides. I thought I’d share that Wall Walking System with you. You have familiarity with writing code in Game Maker. You have a basic understanding of writing simple physics code in Game Maker. Your environments gravity pull objects downwards. 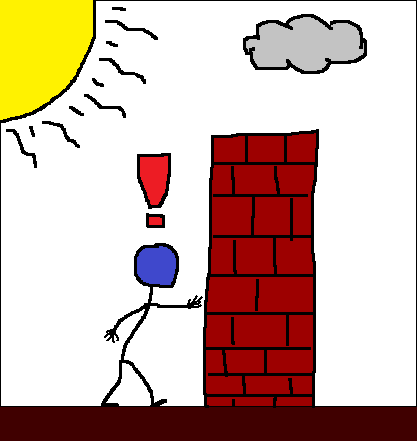 The following Wall Walking System allows a character to walk in a variety of different situations that I’ll illustrate and refer to using the following diagram. In addition your character will also be able to jump up, down, right and left in the Green, Purple, Blue, and Red Cases respectively. A caveat of this Wall Walking System is that it will not work in the corner cases highlighted by the orange lines due to not specifically handling the effect of the assumed environments gravity. Now on to the system! Tracks needed to be played one after another starting from the first track to some n number of tracks. Through this iteration of tracks, tracks must only be played one time. On reaching the end of the final track the first track would again be played creating an infinite loop. Following the blue arrows from Track 1, tracks are listed in play order from left to right then restarting from the last to the first. Put simply I wanted to have a looping background music player. With this in mind, I began the project with some research and found this post on Steam Community. Combining all your tracks into one long track with a program like Audacity, then play that and loop it. Running a queue of songs using Game Makers alarms, then looping it. Using simple logic based checks, play one song after another then repeat to form a loop. All the above are valid methods which have advantages and disadvantages, but for the foundation of this music player I went with option three. To start create a persistent object. Name is whatever you want, it doesn’t need a sprite either, but it will be need to be placed in the room you want your music to start in. If this object is not persistent and the music player gets reinitialized at any point, it will lose its place and start from (track 1) the beginning again. For a looping music player this is not what we want. OK the first line makes sense, it starts the loop, but what’s with that counter? Good question.